Bold colors, mixed materials & a plethora of prints sail across the pond for fall. Photography by Zoe Adlersberg/See Management; Styling by Mariah Walker, Art Department, NY; Hair and makeup by Clelia Bergonzoli/Utopia NYC using Oribe Hair Care and Milk Makeup; Styling assistance by May White. 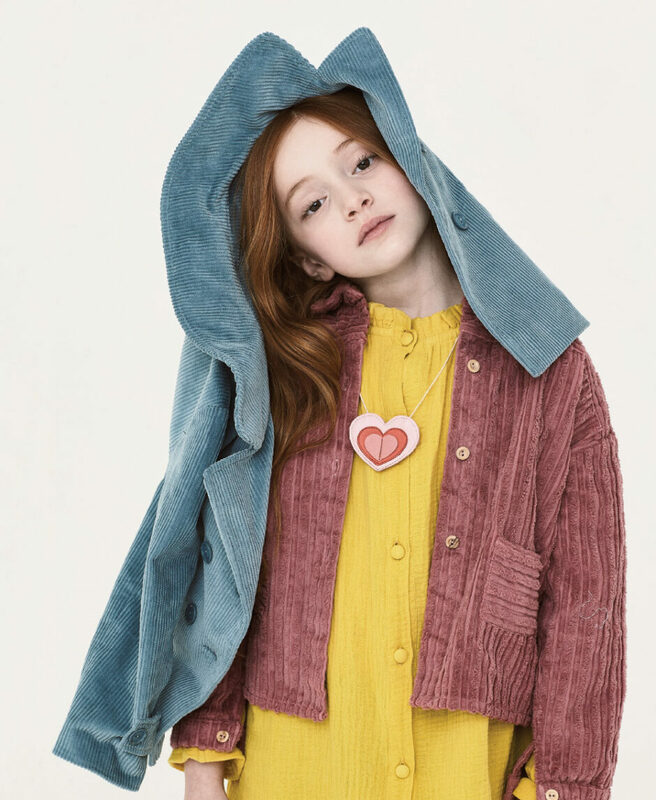 Emma wears blue corduroy jacket by Kids on the Moon, dusty pink jacket by Yellow Pelota, linen dress by The New Society and Easy Peasy heart necklace. Opposite: Emma wears Mayoral plaid wrap coat, Infantium Victoria with turtleneck and patterned pants and Young Soles boots. 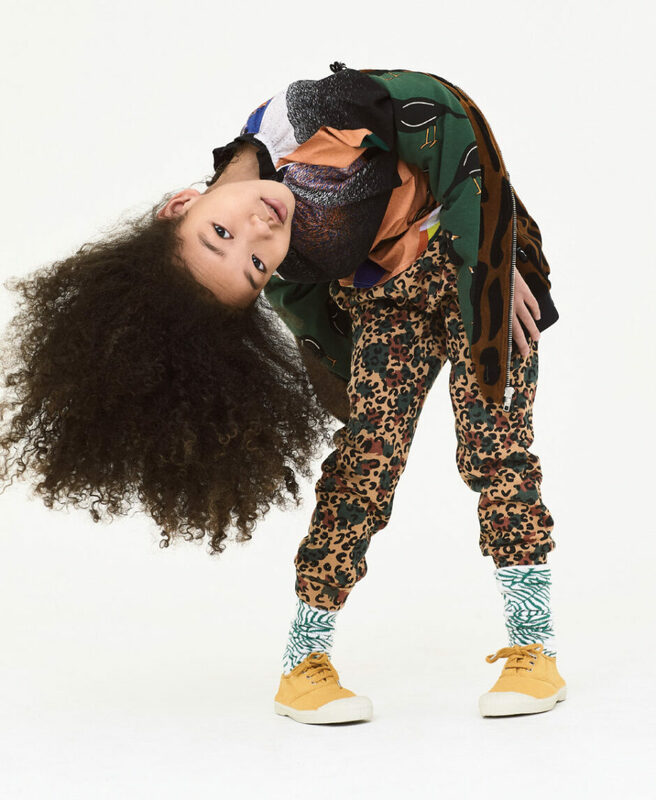 Rein wears Carlijnq jacket, Leoca shirt, leopard joggers by Soft Gallery, JRP Socks graphic socks and Bensimon yellow sneakers. 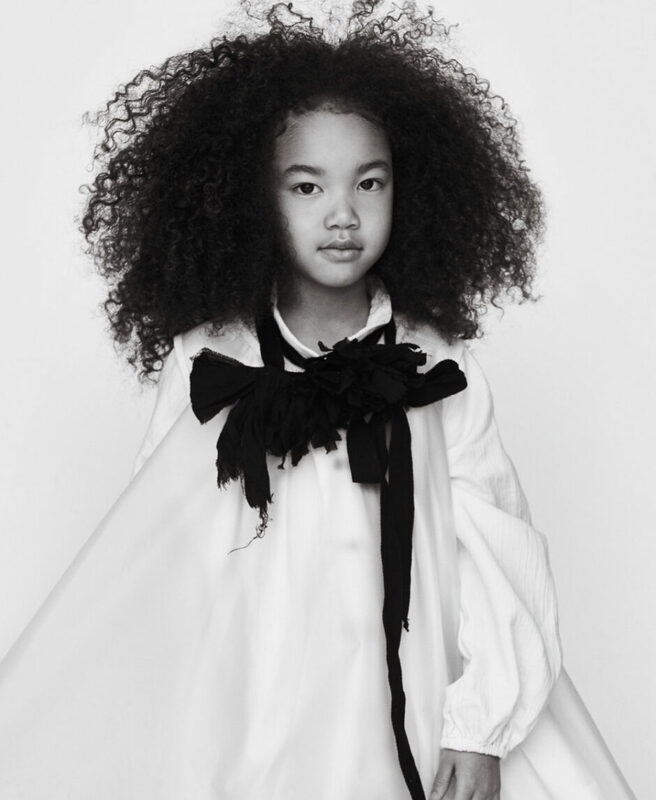 Rein wears two white dresses and belt used as collar by Little Creative Factory. Zander wears Dal Lago long coat, We Love Shapes sweater, culottes by Nadadelazos and Old Soles hi-top sneakers. 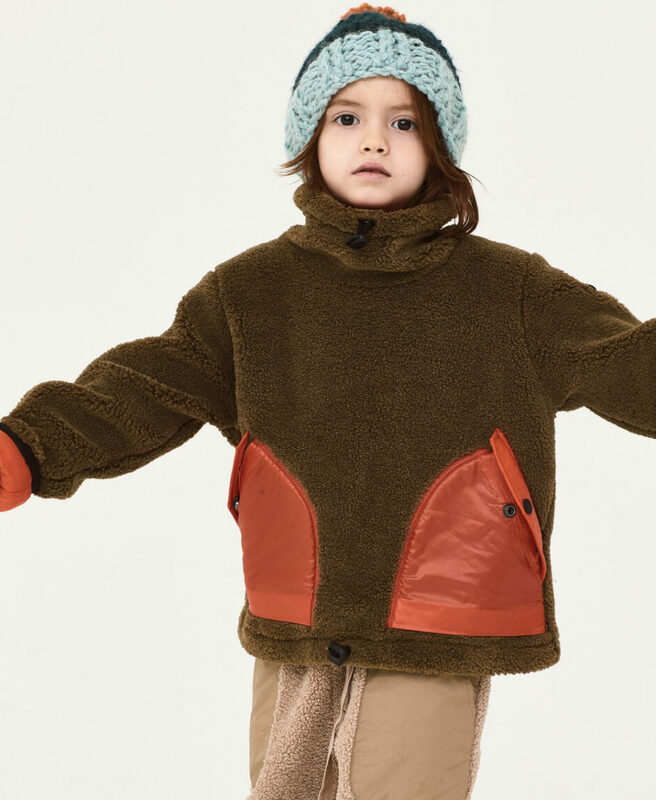 Zander wears Manuela knit hat, Riders fleece pullover and pants by The New Society. 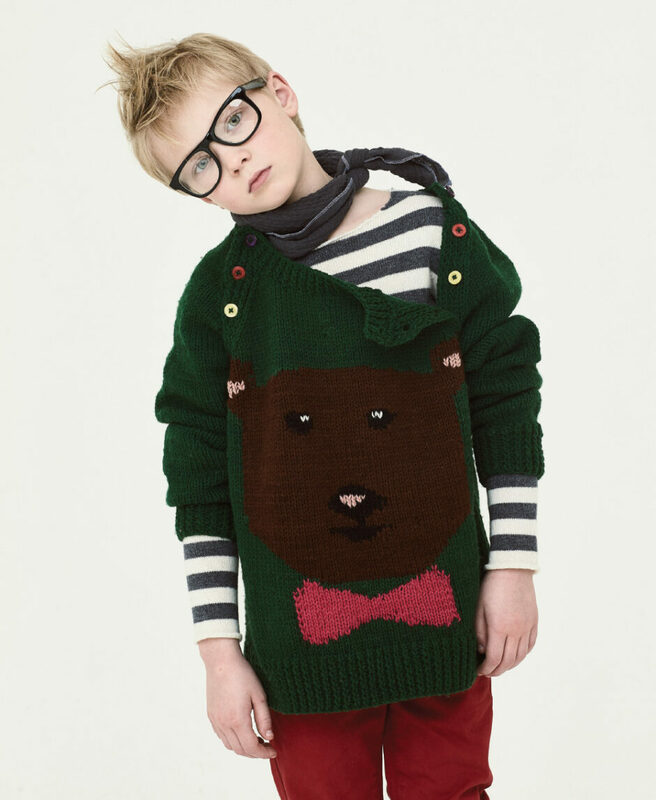 James wears Hauptli Haus Kids neck scarf, bear sweater by EFVVA, Louis Louise striped sweater, red pants by Nukutavake and his own glasses. 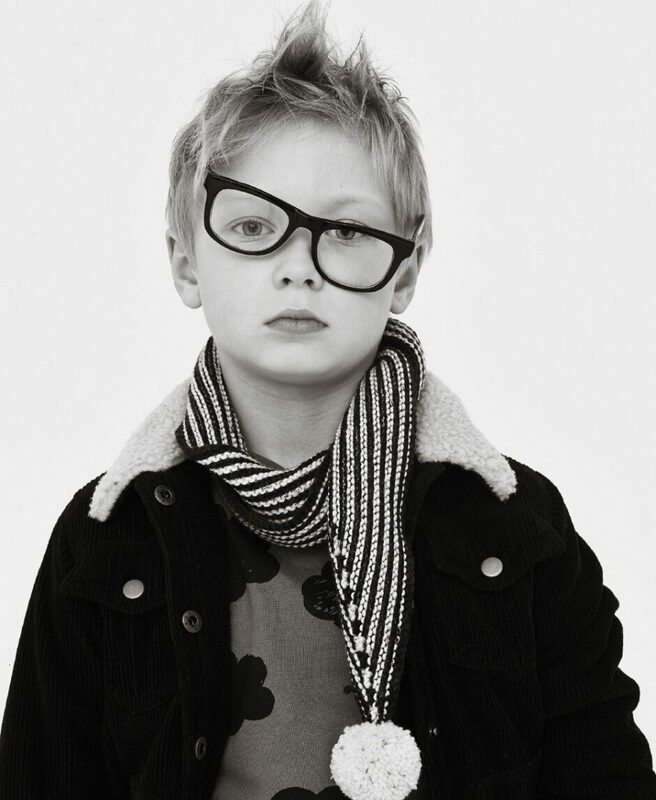 James wears striped scarf by Kalinka, sweatshirt by Nadadelazos, Louis Louise bomber jacket and his own glasses. 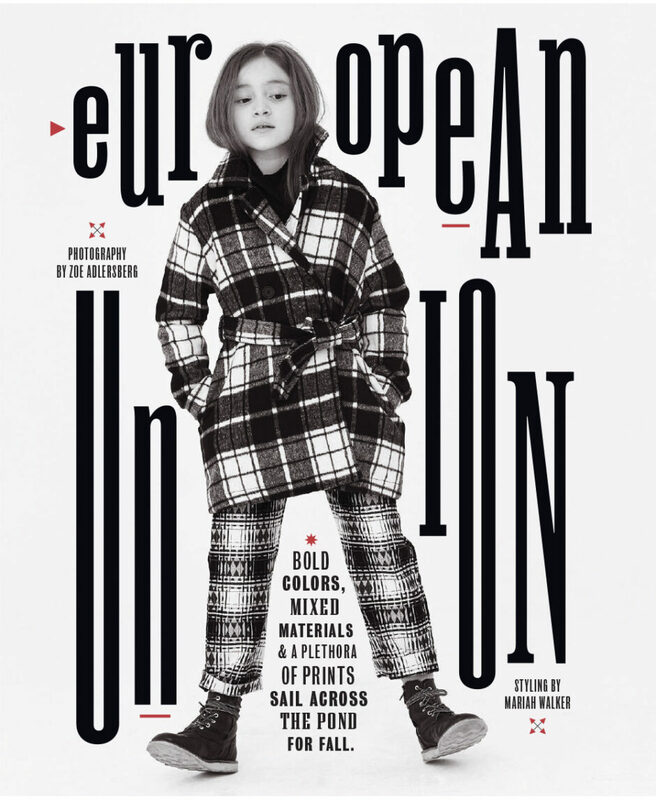 Harper wears striped sweater by Omibia, Hello Simone overalls and coat by Tarantela. Harper wears Mayoral beret and Venera Arapu dress. 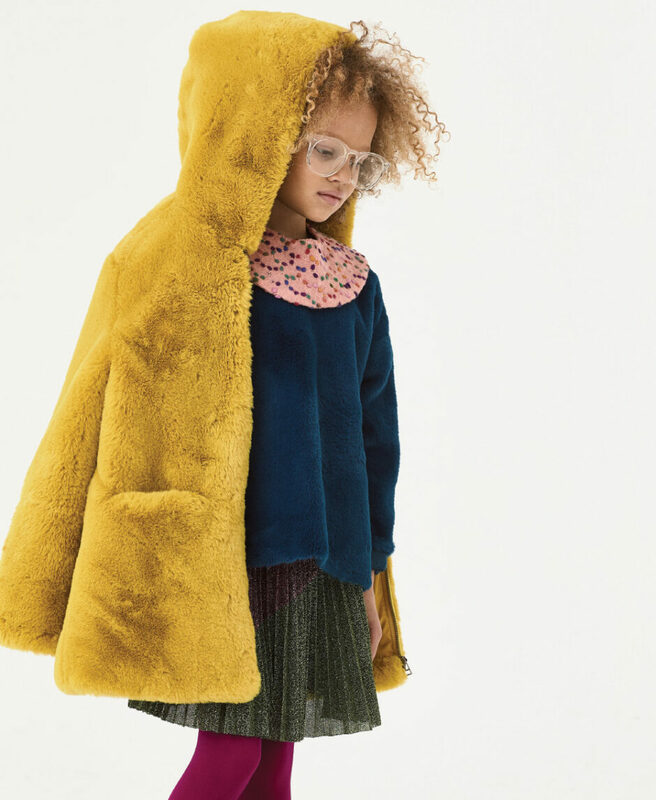 Sidney wears yellow coat by Derhy Kids, blue sweater by Essence, Sproet & Sprout collar, skirt by Loredana, We Love Colors tights and her own glasses. Sidney wears striped dress by Leoca, sweater by Anarkid, Sproet & Sprout waist belt and her own glasses.